On successful completion of this qualification students may choose to undertake studies in any of the other Advanced Diplomas in the Finance Services Training Package for various specializations or an Advanced Diploma in a related field. Is the course delivered full-time? A total number of 11 units must be selected for this qualification including 8 core units and 3 elective units. These entry requirements can be met by completing the FNS50615 Diploma of Financial Planning with the Australian Professional Education Institute, our college. The entry requirements can be also met by evidence of equivalent competency to the above units demonstrated through recognition of prior learning (RPL). Provide evidence of English Level of IELTS 6.0 or equivalent (If the level of English is insufficient, a suitable course can be arranged. A further learning pathway could be studies in relevant higher education programs. Students should establish relevant qualifications and any credit arrangements that may apply in order to make appropriate elective choices in this qualification. 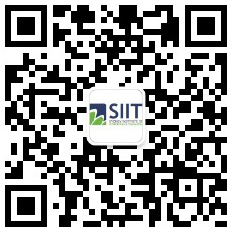 Note: For more information regarding this qualification, please contact SIIT marketing department through info@siit.nsw.edu.au.